The Game Wows A$AP Rocky & A$AP Ferg With "Born To Rap"
Home>Music> The Game Wows A$AP Rocky & A$AP Ferg With "Born To Rap"
The Game's "Born To Rap" recording session continues to bring out the heavy-hitters. The Game is never one to let a minor controversy derail his course. Mere weeks after putting Kim Kardashian, Kanye West, Joe Budden, and Cyn Santana on edge with a sexually-charged diary entry of a song, The Game has once again come through with a Born To Rap update. We've already seen him enlisting Meek Mill, Dr. Dre, Just Blaze, and Swizz Beatz for the project. Now, it appears Game has reached out to some of his New York associates, sharing a picture of himself, A$AP Rocky, and A$AP Ferg in the studio. "My A$AP n***as slid thru last night & I pressed play," writes Game. "By the look on Ferg face, we got another CLASSIC." While it's not entirely clear whether Game put down vocals with the A$AP rappers or merely chopped it up, the caption seems to suggest a listening session of sorts. It's easy to infer that Rocky and Ferg were mere spectators in this scenario, taking in Game's project as fans first. Yet the optimists among us can hold out hope for additional vocals, even if they come in a limited capacity. In any case, Game's Born To Rap sessions continue to act as a gathering place for dope emcees and producers. Hopefully the rapper will yield more concrete information about the album in the days to come. 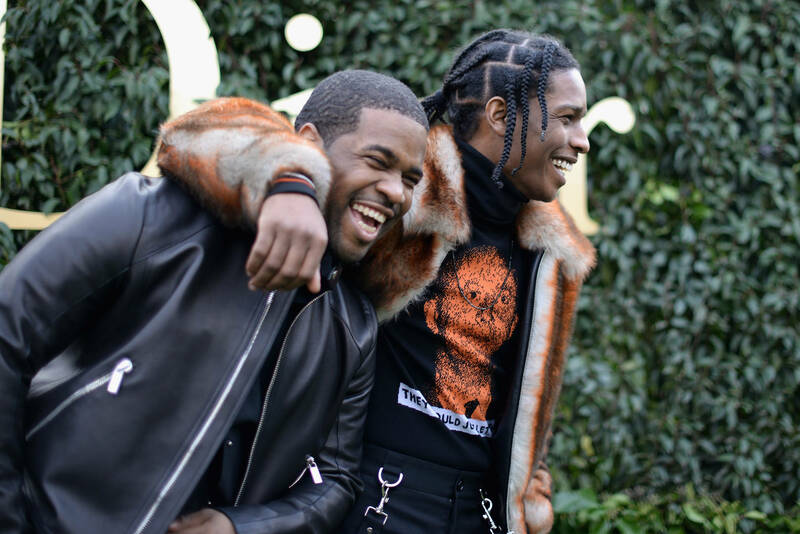 MUSIC The Game Wows A$AP Rocky & A$AP Ferg With "Born To Rap"